In performance, Foghorn Stringband gather around one microphone, balancing their music on the fly, and playing with an intense, fiery abandon. To the band, this music is as relevant today as it was at it’s birth a century ago. They see themselves not only as cultural revivalists, but also as historians and fans of this music. Their performances and recordings are a joyful celebration of music from a bygone era that still holds the power to delight audiences worldwide. The band’s repertoire has expanded greatly in the past 15 years. They are as comfortable playing music at a neighborhood square dance as they are stirring a festival audience to a frenzy. Old time dance tunes rub shoulders with Cajun waltzes, vintage honky tonk country, and classic bluegrass….and it’s all rendered into a cohesive whole. 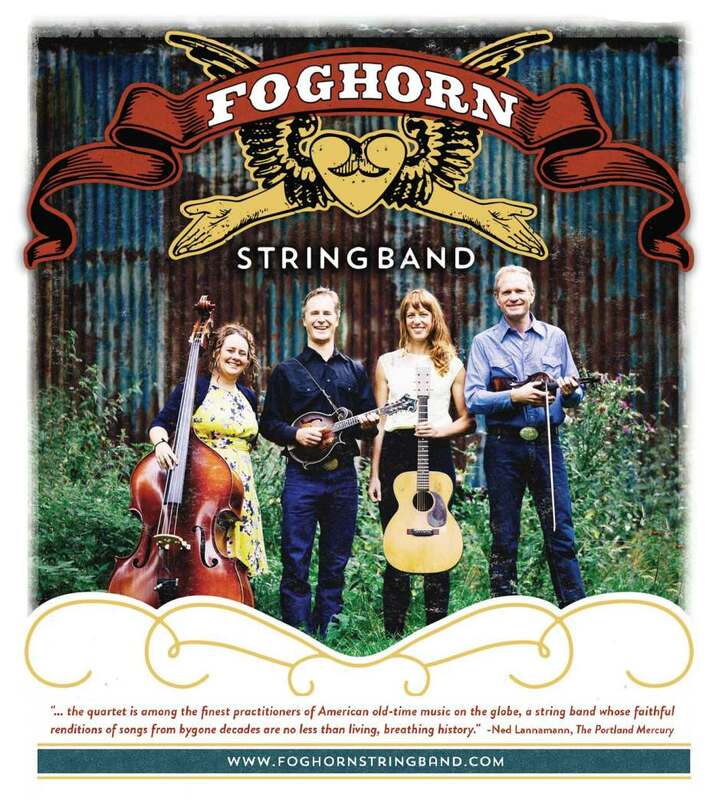 Foghorn Stringband can often be found after a performance in a local pub or club continuing to play with equal energy and joy late into the night. They’re obsessed, and that obsession rings true with every note they play and every song they sing. You’ll see. There’s Foghorn…and there’s everybody else.